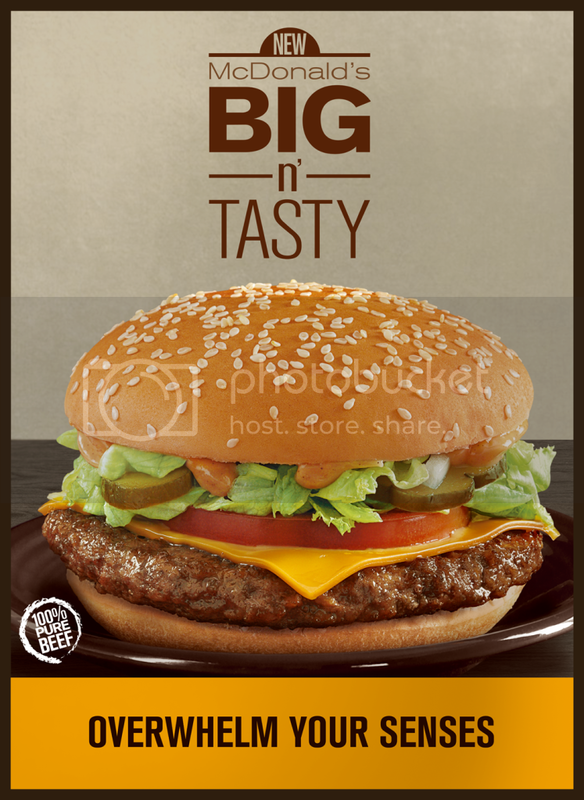 I’m sure most of you have heard all about Mcdo’s new burger, Big N’ Tasty, that I have yet to try!!! I’m so excited to try it! Will definitely be trying it during one of my insanely looong breaks next week! Wee! To those who haven’t tried it yet, make sure to try it soon because it’s only available for a limited time! Do you remember the last time your senses were overwhelmed? When every sense is engaged and doing exactly what they were meant to do, it creates a wonderful experience that leaves a lasting impression. Recreate that awesome moment and experience a new burger taste unlike any other with the new McDonald’s Big N’ Tasty. For the first time in the Philippines, McDonald’s is offering Big N’ Tasty as a limited time offer for customers who are looking for that perfect mix of yummy flavors and textures in their burgers. The new McDonald’s Big N’ Tasty is made from the freshest ingredients available. Featuring a 100% pure beef quarter pound patty seasoned using only salt and pepper, creamy cheese, crispy lettuce, juicy tomato, fresh onions, tangy pickles, and a special smokey sauce in between a sesame seed bun, Big N’ Tasty is for McDonald’s and burger lovers who expect nothing less. Whether you are at work, busy on the go, chilling with your friends or at home alone – wherever or whatever the situation is, anytime is a good time to get your Big N’ Tasty fix. Overwhelm your senses with the right blend of tangy, creamy and savory. Experience the right balance of soft, crunchy and chunky with every bite. Burger enthusiasts and other foodies, what are you waiting for? Begin your next food adventure at the nearest McDonald’s and find out what the entire buzz is about. McDonald’s Big N’ Tasty is available in most stores nationwide a la carte for P120 or as an Extra Value Meal with Regular Fries and Regular Drink for P145 or with Medium Fries and Medium Drink for only P165. Craving for one right now? No problem. Answer those spur-of-the-moment burger cravings by ordering via McDelivery Online or by dialing 8-MCDO.